This beautiful Jaguar E-type Series 2 was built in 1969 and delivered to the first owner by British Leyland New York, USA. This E-type is a 2 + 2 Coupé version, performed in a beautiful silver-grey metallic paint. 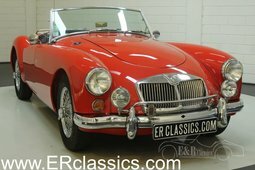 This Jaguar has been completely restored. The interior has been redesigned with beige leather upholstery and the classic original wooden steering wheel. 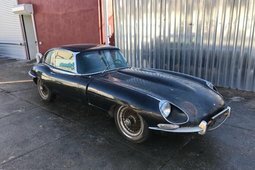 The engine is the matching numbers 4235cc 6-cylinder in-line engine which makes this Jaguar E-type drive fantastic, especially in combination with the manual 5-speed gearbox. 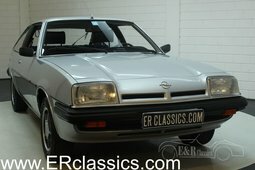 Furthermore, this technically and optically very well maintained English classic car is equipped with chrome wire wheels, period correct radio and a stainless steel exhaust system. 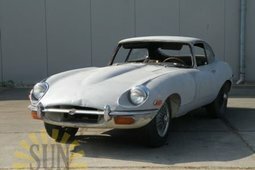 A great E-type that is ready for an enthusiast!